How to shoot videos of you dancing | Hi. UPDATED VERSION OF THIS POST IS HERE. If you’ve taken class with me you know sometime near the end of class I set up a little tripod and I shoot us dancing. Most teachers are cool with it, but of course always ask before you do it. Your teacher is right to be protective of their intellectual property. Respect their wishes. If they feel weird ask if you you can post snippets. That seems to be cool with the majority of them. They get some promotion, you can share how you perfected that hairflip. And really…isn’t that all you really wanted to show your friends anyway? A few people have asked what type of tripod and lens I use to shoot the videos. So let me break it down for you because I’ve done alot of experiments. It seems ridiculous to spend $30 on a tiny tiny tripod but I’ve been really impressed with this little guy. It holds your phone firmly in place and what I particulary like about it is it will ONLY let you shoot horizontally….like all your videos should be shot. Stop shooting in vertical mode. You’re not getting everything. Seriously. Learn from puppets. Stop shooting in vertical mode. 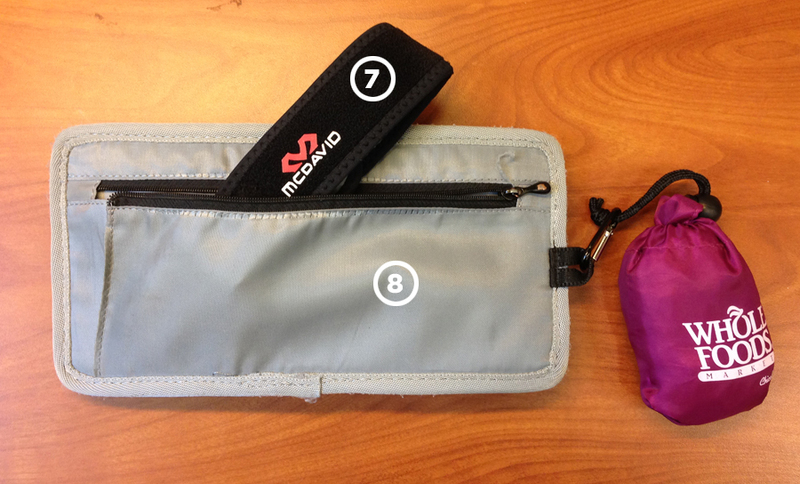 The tripod is tiny so it fits into any tiny purse. I’m thinking of getting the GripTight GPod Mini Magnetic for more shooting options. But the Micro Stand has been great. UPDATE 5/2014 – I ended up buying the Joby GripTight GorillaPod Stand (not magnetic) and I think it’s the best tripod I’ve used thus far with my iPhone. Quick to setup and you can get every possible angle from the floor. I am not a particular audiophile so spending a ton on earphones is not a big deal to me. I like how the Apple EarPods sound. And plus the mic works well. The only issue I have is sometimes these earphones shock my ears. Not sure why. Clearly not a great experience. So the nice thing about Apple is if you have issues with your earphones, you just walk into the Apple Store, tell the Apple Genius that your earphones are shocking you, and they give you fresh new ones right then and there. You don’t have to bring the original packaging. They just look up your record. I’ve returned 4 headphones that had frayed wires because of me twisting them. Apple just took it back and gave me new ones. No big deal. So I’ll keep buying these. I have the iPhone 5 and overall I’ve been very happy with the camera. I love to shoot photographs so the fact that I don’t have to carry a whole other camera makes me so happy. But I miss the options of different lenses and the ōlloclip has helped with that need. There are definitely cheaper iPhone lenses out there. But I was looking for something sturdy and was well made. This is that lens. I needed a lens that could capture the full expanse of the room and the fisheye lens on the ōlloclip serves that need perfectly. Here is what my iPhone 5 is capturing now with the fisheye lens. Note: different day but same location. And I used Videon filters on this one. You’re going to notice that fisheye lens means things in center are more in focus than things on the outside. That’s one of the tradeoffs when using this lens. But the big pro is you get more content in your frame. It takes some getting used to and you’ll be playing around hitting focus on your iPhone alot but once you figure it out you’ll like it. This way if you find yourself going all over the floor you will feel confident that your camera caught you. IMPORTANT TIP: I have the iPhone 5 and the rear camera shoots 8 megapixels. The front camera only shoots 1.2 megapixels. So ALWAYS shoot with the back camera so you can capture higher quality videos. It’s awful that these things cost $29 but it works. It doesn’t fail. 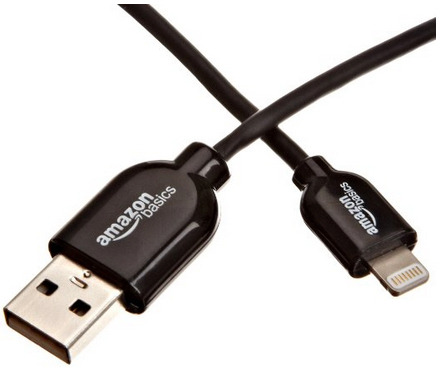 Did you know that Amazon makes the exact cable for $13.99? I have this cord too but not in my go-kit. Works great. It’s made by Amazon. And it’s cheap. At first I didn’t think I’d use this charger but it came as a special package deal with this 1200 mAH charger back at Xmas time. I thought I’d use the big one more. Nope. The 5200 mAh is perfect. My iPhone will go down to 25 percent, I’ll plug this in, and within an hour I’m back up at 100 percent. It’s light. It’s easy. There are so many chargers out there now I’m sure you’ll find one cheaper but New Trent products haven’t let me down on quick charges. I HATE having to pay 10 cents for a bag when I go to any store in the Bay Area. These cloth bags cost around $3-4 at Whole Foods. They have a clip so I never lose anything. They’re machine washable. And they come with their own bag so it’s never taking up too much space in your purse. I love this damn bag. They sell them at the checkout counter. Don’t buy it online. It’s cheaper in the store. I noticed around October 2013 my knees would be in so much pain two days after I had a class. It was hard to walk period. This was a really weird feeling cause one day I’d be able to dance alot, the next day I couldn’t go on stairs. I tried kinesio tape. Not strong enough for what I needed. Physical therapist recommended I wear a knee strap every time I plan to do activities that involve jumping, dropping low, and alot of foot movements. 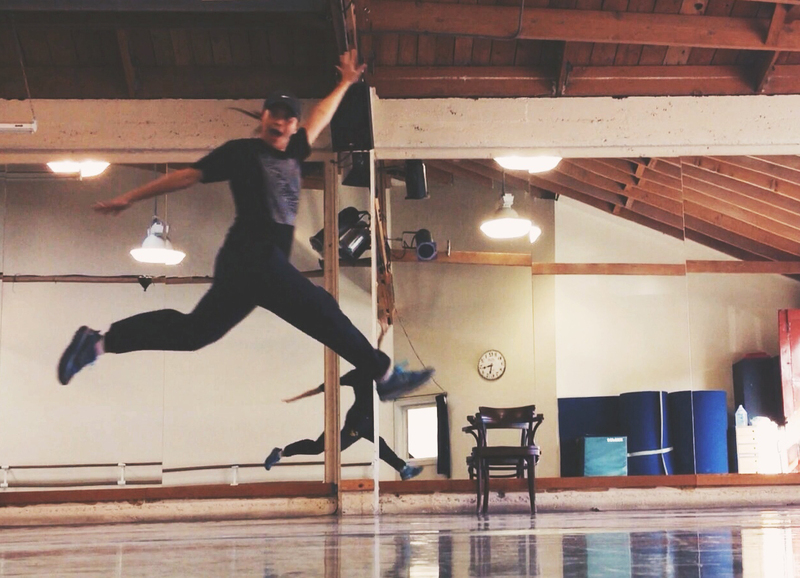 All things you do in dance. This piece of fabric solved everything. I don’t feel pain anymore. It’s amazing. When I first heard about Grid-Its I thought this is silly. Why would I pay for something to hold my stuff? I tried this out and now I have 4 Grid-Its of varying size. This particular size is my favorite. It fits into a backpack or a small tote. It keeps everything organized and nothing gets tangled. I have been using the devil horn technique for 2 years now. It works every time. It’s easy to wrap them up this way and they unfurl perfectly without getting tangled. There are tons of iPhone apps that one can use to edit your videos. I like iMovie on the iPhone ($4.99). Of course it’s not FinalCut Pro but usually I edit the videos while eating a burrito so I wanted a quick app on my phone that could give me the basic features I needed. This app provides everything I need. Can output to to 360P, 540P, 720P, and 1080P. Of course that depends on which camera you used (front or back). I also use Videon if the video I shot is too dark and need to make the shot brighter. This app feels very Instagrammy but with more features. So that’s my go-to kit for dance class. Hope it helps you make more videos of you being awesome.